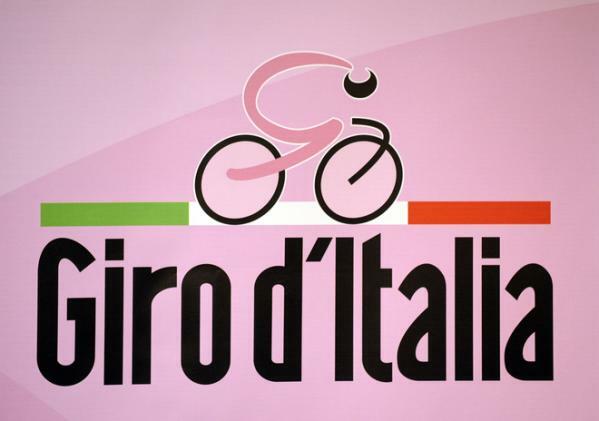 Giro d’Italia Preview – Whatever happened to all the heroes? With the Giro d’Italia starting in Belfast on Friday, and the inaugural Women’s Tour of Britain breaking new ground in England this week, there are probably more top-level cyclists currently on UK soil than for many, many a year. But whilst the Women’s Tour has attracted the crème de la crème of female riders, this edition of the Giro has been dogged by some big name stay-aways who are preferring to focus on the Tour de France later in the Summer. If this is your first time watching the Giro check out the Beginner’s Guide at the bottom of the page. Defending champion Vincenzo Nibali’s decision to fight for Yellow rather than Pink has perhaps caused the biggest concern for the organisers and certainly for the homegrown fans. Italian cycling is suffering from a cyclical downturn and true contenders appear very thin on the ground despite their country-men making up more than a third of the 198 entrants. Previous winners Damiano Cunego, Michele Scarponi and Ivan Basso are riding (as is 2012 winner Ryder Hesjedal) but none have shown the form that would put them into consideration for the top prize. Elsewhere, Joaquin ‘Purito’ Rodriguez, a seemingly resurgent Cadel Evans and 2013 Tour de France runner up Nairo (Nero for this race, surely??) Quintana do bring undoubted quality but there remains a feeling that this is very much a sideshow filled with men who are either deemed too old for a Tour win, or still too young. 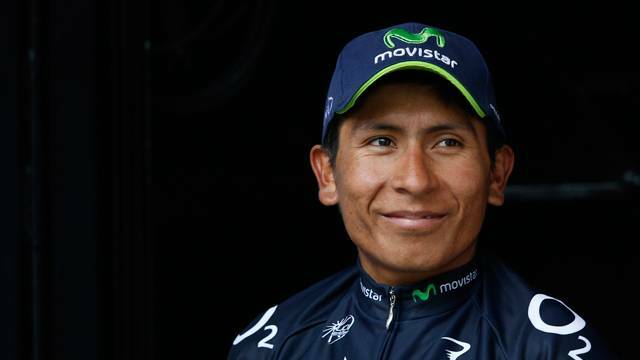 Quintana, with an occasionally 50-year-old looking face on his 24 year old body, sits in both camps. Quintana: the favourite is an old head & young shoulders above the rest. Injury and accident have also robbed the start list of a couple of key battles. Richie Porte’s early season illness has pushed his goals backwards, meaning we miss out on a potential repeat of a high-level Sky vs Movistar battle that illuminated last years Tour and which had been widely expected. After Wiggins’ disastrous appearance in Italy last year (and Sky’s courting of the American market in the overlapping Tour of California this year) it’s been left to local boy Dario Cataldo to carry the hopes of Sky for this Grand Tour instead. Chris Horner’s incident with a car during recent training has also removed his name from the start list and with it the intriguing prospect of him going head-to-head on the mountains with Quintana whose age is his own digits swapped around. Visa issues have also blighted the build-up to Belfast’s Grande Partenza. A number of riders have apparently either been denied visas by the UK authorities or simply not received them (and their all important passports) back in time. Cue further last-minute roster re-shuffling. That aside, preparations for the big roll-out in Ireland seems to have captured the enthusiastic spirit that the country is famous for. The Emerald Isle has been turned totally pink – literally in some cases – with fuchsia sheep, rose horses, coral cranes and even the odd mauve mayor popping up the celebrate the coming of the Giro. 1987 winner Stephen Roche has been roped in as the de facto ambassador for the first three days and, with his son Nicholas leading the Tinkoff-Saxobank team and his nephew, Dan Martin of Garmin-Sharp in the hunt for stage wins, he will be hoping to continue celebrating long after the Giro caravan has moved on. 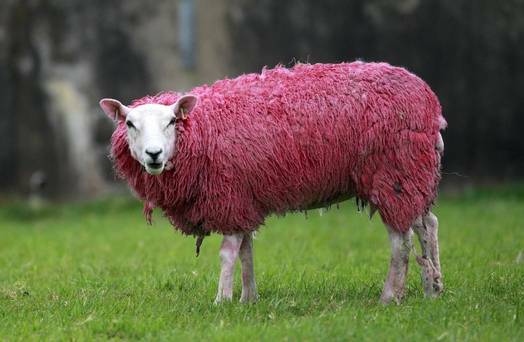 There will be lots of pink wool to be had in Ireland’s Autumn/Winter fashions. And move on they must; for after starting from the Titanic museum near Belfast’s famous shipyards and winding their way through North and South en-route to Dublin, the whole entourage faces a long transfer to Southern Italy before beginning the stages ‘up the boot’ towards the Alps and the Dolomites. This year’s finish will be in Trieste on June 1st but there is a whole heap of climbing to be done before the riders reach the final port. And that brings us back to Quintana. With a favourable course than includes monstrous ascents of the Gavia & Stelvio on Stage 16, a mountain time-trial up the Monte Grappa on Stage 19 and then a penultimate day which ends with the eye-watering ramps of the Zoncolan, the tiny Colombian climber looks set to thrive. Quintana has been given the lead role of a strong team under the pretext of Movistar preferring to develop him in the less pressured environment of the Giro. With the relatively depleted start list though, this plan could backfire as Quintana is now such a hot favourite (10-11 ON at the time of writing) that anything less than the win will be seen as a sure thing thrown away. With such high expectations, and without another potential leader within the team to deflect attention, all the pressure will actually be fully on him from the outset. One hopes that his attacking style is not overly curtailed by the burden of favouritism. If Quintana can’t land the Giro in a suitably swashbucklingly way I suspect that most neutrals will be hoping that the ever-popular Purito finally lands a Grand Tour. Whatever happens, we don’t want a defensive phoney war through the mountains with one explosive attack on the last 100m of the Zoncolan any more than we did the dull time-trialled victories of Indurain. More than any other Grand Tour, the Giro sets itself up to be about spectacle. Let’s hope it delivers. Forza! 21 stages, 3 rest days (Mondays), 3,449.9 kilometres. TdF/Giro Differences: Yellow is Pink, Green is Red, Polka Dots are solid blue, White is still white. Froome is Porte, Kennaugh, Cataldo. Cav is Swift. Kittel is still Kittel. 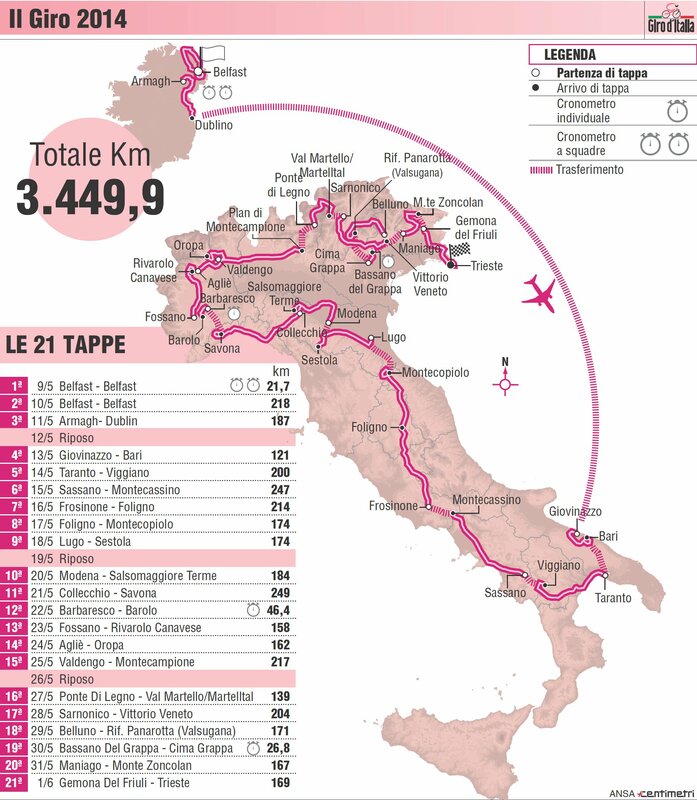 This entry was posted in Giro dItalia, Pro cycling and tagged belfast, Cycling, dublin, Giro, giro d'Italia, grand depart, Grand Tour, Horner, Ireland, italy, kittel, porte, procycling, quintana, team sky. Bookmark the permalink.